I've raised $120 in under a week for the Sierra Club through sales of my double-sided poster, Nearly A Million Sunsets. Thank you! It's not much, but it's something. Sierra Club has a long history of environmental advocacy on local and national levels. 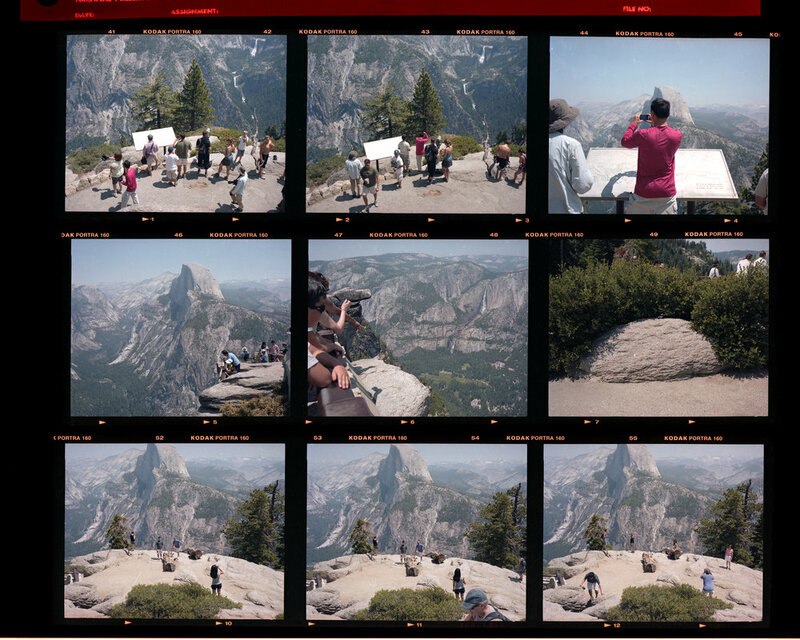 Here are a few contact sheets from my trip to Yosemite National Park in 2011 while working on Half Wild. Crowds gather at Glacier Point. Hiking up to Old Inspiration Point and portraits made at Old Inspiration Point (the major, historical vantage point of Yosemite Valley). Original two frames of Grizzly Giant, looking up at GG, trail path, and a charred tree.